From 16 February to 29 March 2018, S│2 London will present the first UK solo exhibition of Italian artist Bice Lazzari. Born in 1900 in Venice, Lazzari carved a singular path in the history of post-war Italian art. At a young age she was enrolled into a music conservatory where she was taught a musical instrument, a skill that would inform her artistic practice in the years to come. Like for most women artists of the time, the possibility of forging a career was limited, and the outbreak of not one but two world wars prevented a continuous, uninterrupted practice. Yet, her solitary determination was unrelenting. Her paintings resonate with utmost control and minimal gesture a symphonic new language of signs. Lazzari’s ability to harness the possibilities of a new type of mark-making reveals a unique and profound understanding of visual codes within painterly abstraction. 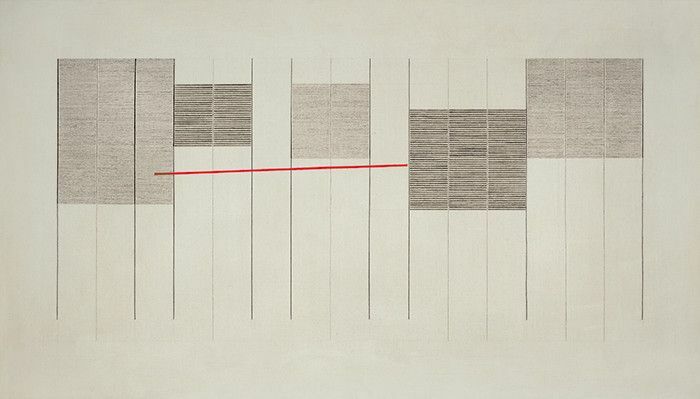 The S│2 London exhibition focuses primarily on her artistic output of the mid-sixties to mid-seventies, where Lazzari’s restrained, yet lyrical compositions and experiments in abstraction are at their most mature stage.